Ultrasound-guided transvaginal oocyte retrieval is carried out in an operating theatre using a needle. 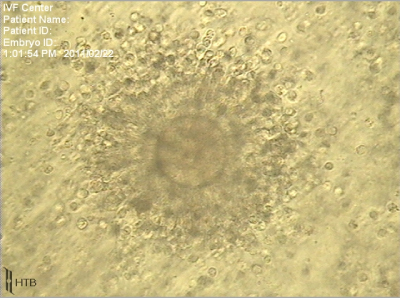 The oocyte is found in small vesicles resembling a black circle in the ultrasound scan and containing a fluid known as follicular fluid. It is this fluid that is retrieved by the gynaecologist and given to the embryologist. This specialist checks the presence of an oocyte and informs the gynaecologist who will endeavour to detach it by repeatedly rinsing it. 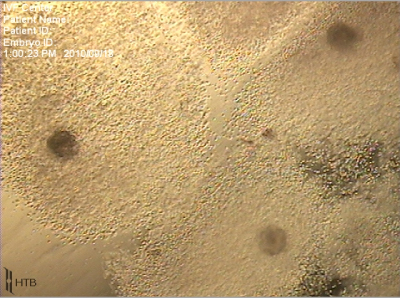 The collected oocytes are placed in a suitable culture medium in an incubator at 37°C. They will remain there until fertilization by classic IVF or by ICSI.